If you are looking for some inspiration this is your girl!! Katie maybe a Canadian, but she is pretty much just another local when it comes to winter in Wanaka. Katie has logged thousands of hours on her snowboard, both for fun and for training. Her combination of natural athleticism and talent, on top of hours of hard work, sweat, and pure determination, has made her one of the best half pipe riders in the world. She is a girl who you just can’t fault. Katie is always smiling, friendly to everyone and making the best of any situation. She trains like a demon in the gym and on the snow, giving 110% always. 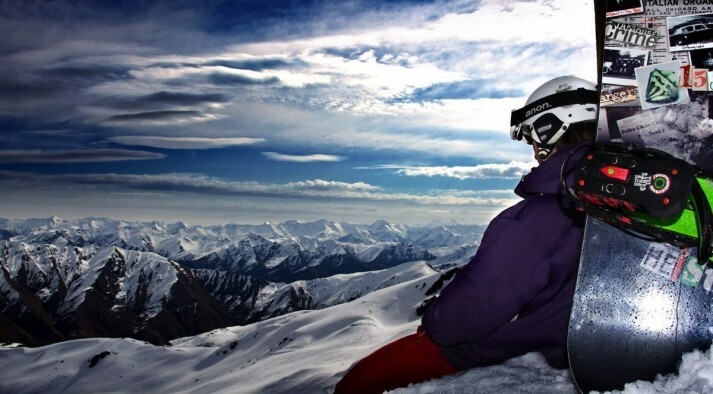 She is truly passionate about snowboarding and living life to its fullest. 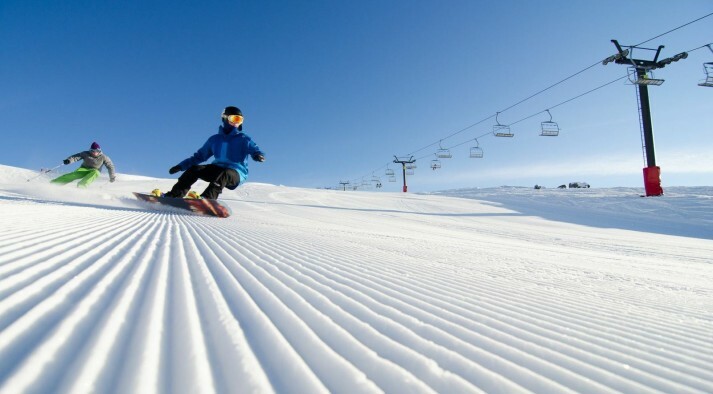 What do you love about snowboarding, that keeps you charging day in day out? 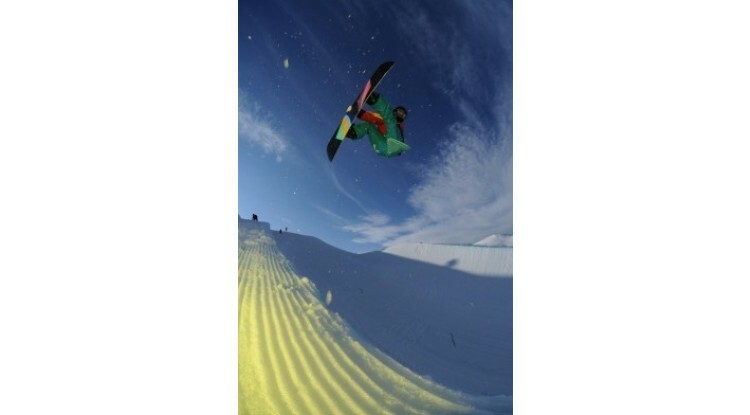 I love that snowboarding has provided me with a passion. The everyday challenge of choosing a puzzle and solving it, keeps me coming back for more. Also, that I get to be outdoors in beautiful surroundings -my favourite office. I also love meeting, and learning about, new people from different cultures. Especially the ones who have amazing work ethics, you never hear them complain no matter the conditions...they just rally. So how many winter seasons have you done now? I have really lost track... maybe 13 competitive winter seasons? Before I was a recreational rider who’s main sport was wakeboarding, so then I was chasing summers. Wow, so how many trips to Wanaka is that? This season was my eighth trip to Wanaka and in all those years I have never really seen too much of NZ. I get so caught up there! Awesome, what do you like about coming to Wanaka? I have to admit it is hard leaving summer in Canada, when it is time for me to come to Wanaka. I know I am going into shorter days and colder weather. But, when I get there I love it! It's like a parallel universe. I have made a lot of friends there who are like my southern hemisphere family. Life is a slower pace where I have time to cook with quality foods, go to the gym everyday and I'm not worried if I don't have my cell phone on me. Of course the riding is awesome with two half pipes only 40mins from the town. Cardrona's being one of my favourite, in the world. Wanaka has everything I need to be happy and productive for the time I am there. I always get a little sad when I have to leave... no stay is ever long enough. Many pieces of my heart are left there. You are going to be travelling a lot in the next few months following the World Cup Tour in pursuit of Russia 2014. Are you ready for all that flying? I have spent almost eight years on the tour, so needless to say that the flying itself is not daunting. It's the time changes that take the most out of you. As an athlete, my body is tuned a certain way, having to adapt quickly can be challenging, but I have plans to help. 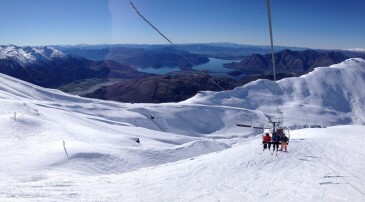 So do you have any travel tips for the NZ Snow Tours Fans? The best tips I can give is to stay hydrated, be flexible and open minded when changes have to be made and always be happy. You are travelling; not working. Be sure to take in all you can, talk to people, and most of all keep a journal so you can revisit your adventure later down the road. Any other inspirational comments you would like to add? Travel is the best gift you can give yourself, or someone else. You never know what new things you will come across, what you will discover in your self, or what new passions may transpire from your experiences. That is so so true! 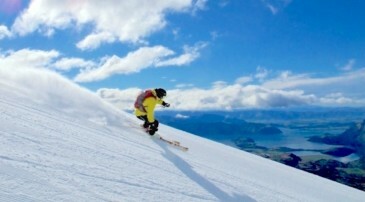 Everyone here at NZ Snow Tours hopes you smash your way through the qualifying competitions. Have safe travels and stay injury free. Good Luck! You can find more information about Katie and where she has travelled in her video blogs at http://www.ktathletics.com/. Check it out!